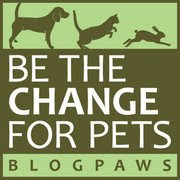 BlogPaws Wordless Wednesday Pet Blogger Hop: Pet Protection Month! Our friends at BlogPaws are getting an early start on October by highlighting next month's National Animal Safety and Protection Month. 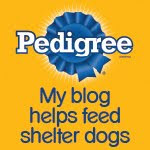 Why not use your considerable power as a popular pet blogger to call attention to the pet safety issues we all care about? Go for it! 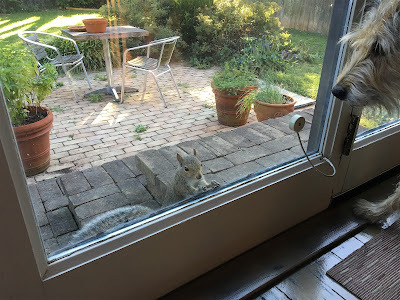 You know it's fall when the squirrels are this close to invading your home! After all you hounds calm down, check out today's BlogPaws Wordless Wednesday Pet Blogger Hop and see what your blogging buddies are up to! Wow, that little guy definitely wants to come in the house!